The iconic “Earthrise” image–the first ever taken of the Earth from the Moon’s perspective. 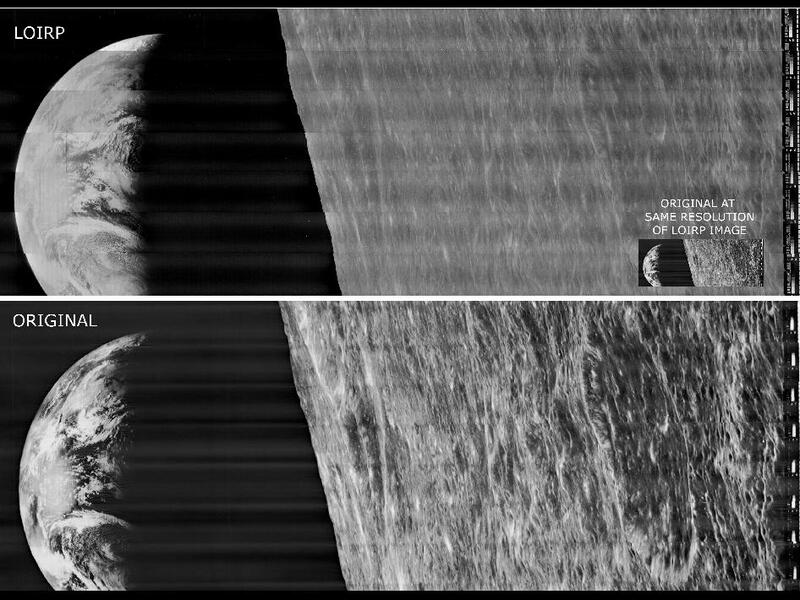 The original image as seen in 1966 appears on the bottom; Dennis Wingo’s re-scanned copy is at the top. In the mid 1960s, NASA launched the first of five lunar orbiters. 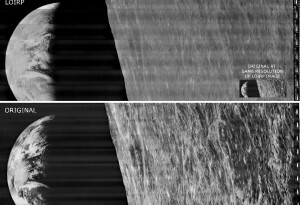 Each one transmitted hundreds of images of the moon’s surface back to Earth, which NASA recorded onto miles of analog tape. It was state of the art technology for the 1960s. But today, it’s mostly forgotten. For the last 40 years, the tapes from the Lunar Orbiter missions have collected dust in a warehouse, and the computer drives that could read them have gone the way of the dinosaurs. In this podcast, we talked to Dennis Wingo, an engineer who’s working to recover the images from the now-obsolete tapes. Listen below. From 2005 to 2011, I produced regular podcasts for NOVA, the PBS science series. These took the form of field reports, interviews, and audio shorts that reported on current issues in science or offered a closer look at topics from that week’s NOVA broadcast.